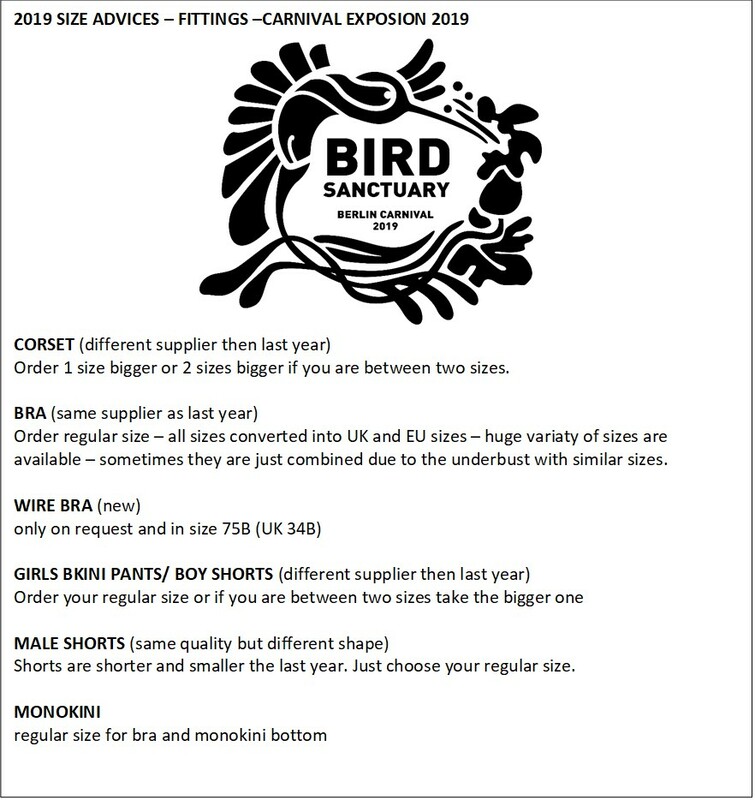 EARLY BIRD PRICE TILL FRIDAY 18TH JANUARY 2019- ALL COSTUMES ARE LIMITED! ONE PRICE AND YOU CAN JOIN TWO CARNIVALS- BERLIN AND BIELEFELD WITH CARNIVAL EXPLOSION! 12 pieces: small easy tiara, breathtaking wire based comfortable back piece, bra with string back closure with rhinestones, beautiful decorated belt, 2x armpieces with rhinestones (fabric base, proper sewed), 2x legpieces with rhinestones (fabric base, proper sewed), 1 x necklace, bikini pants/ boy shorts , CARNIVAL EXPLOSION signature string back pack, CARNIVAL EXPLOSION reusable drinking cup with lid.